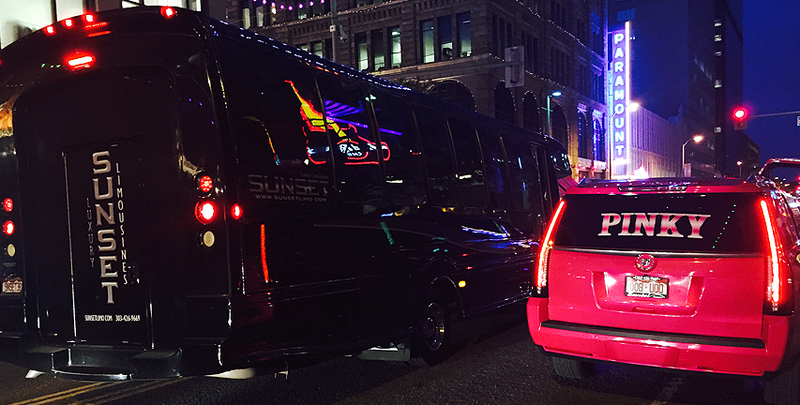 Below is the Sunset Limo image gallery, showing our fleet and our clients enjoying our limos and all the luxury and style that they have to offer! Keep checking back to see more images on this page as we update the gallery often. 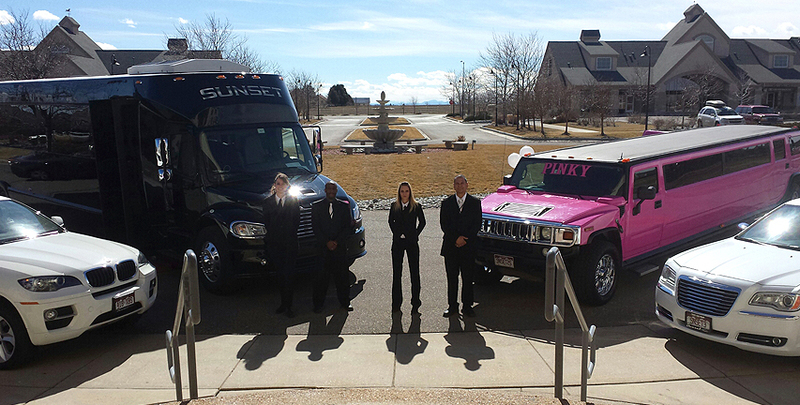 As you see from our image gallery, Sunset Limos is your premier event and party transportation in Denver! 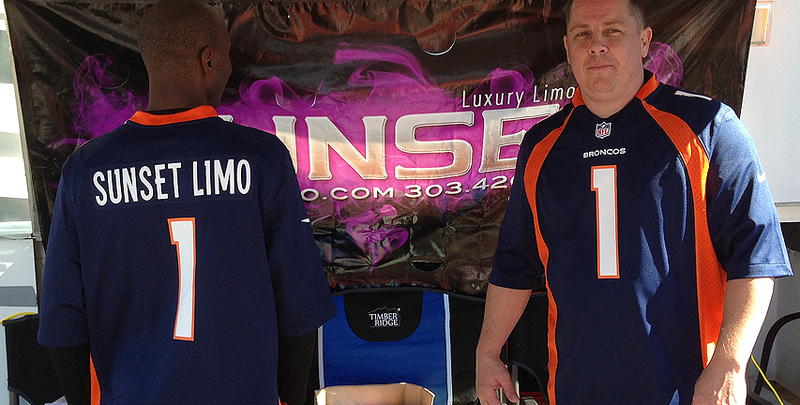 Ride in style for your wedding, birthday, bachelor and bachelorette parties, Denver night out, prom, concert and much more! 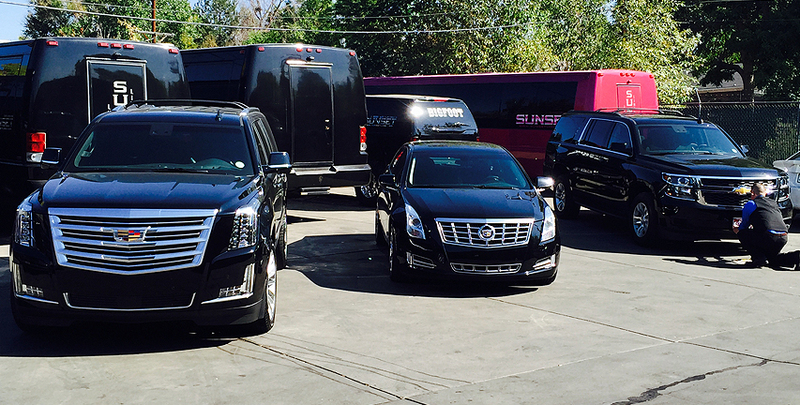 If you are a Sunset Limos client and would like to add your pictures to the image gallery, please contact us. 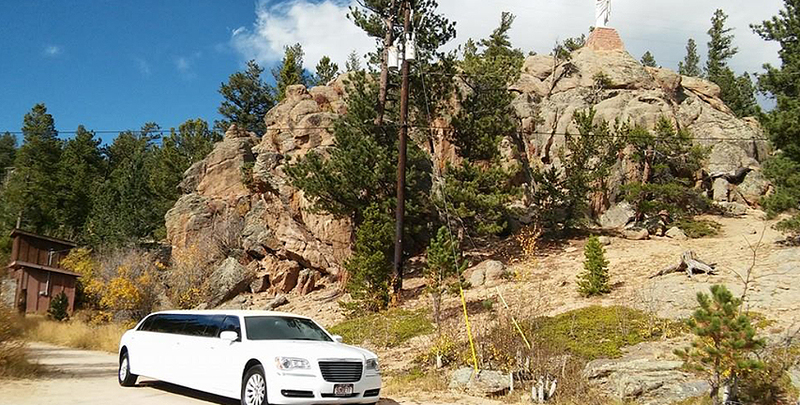 Sunset Limos at Mother Cabrini Shrine. 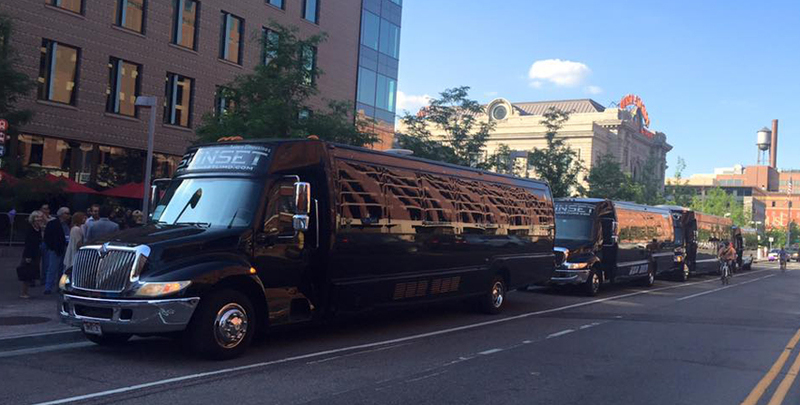 Party Buses outside Union Station. 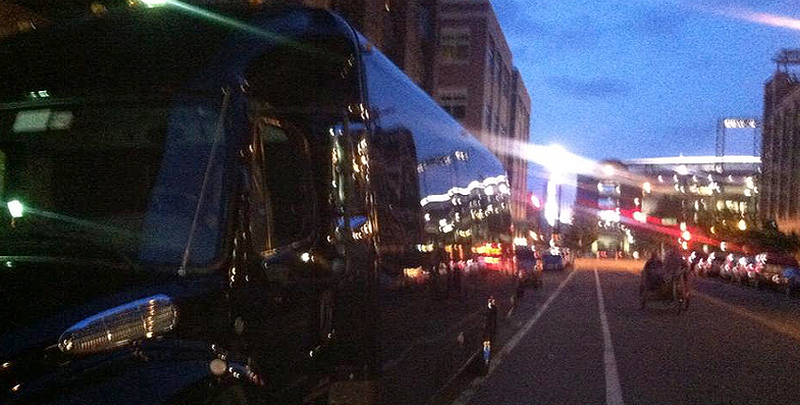 The Sunset Fleet outside the Paramount in Denver. 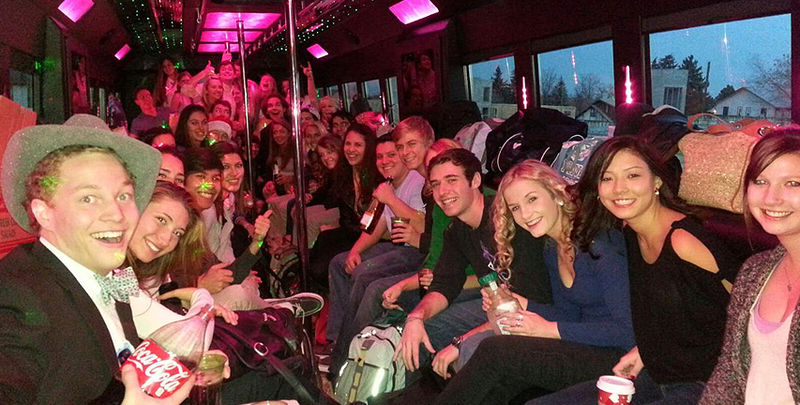 A party bus living up to its name. 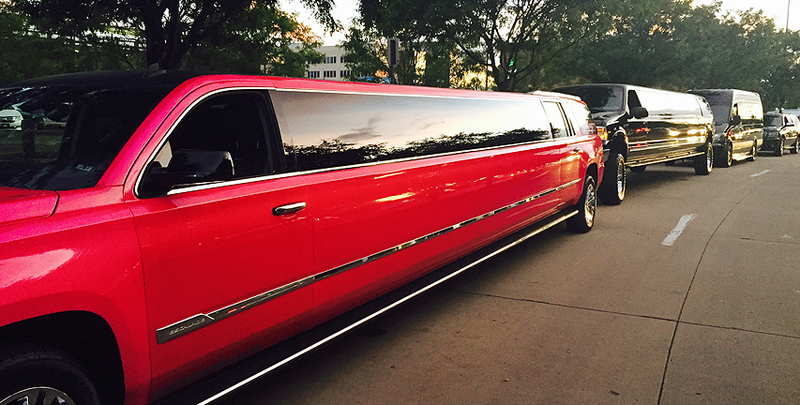 Our party bus near Coors Field. 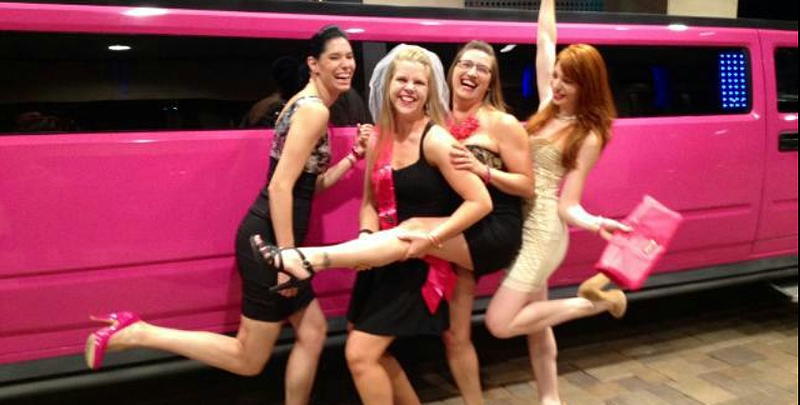 A very pink bachelorette party!